The Perpetual Collection is the beautifully-designed constant in your life. 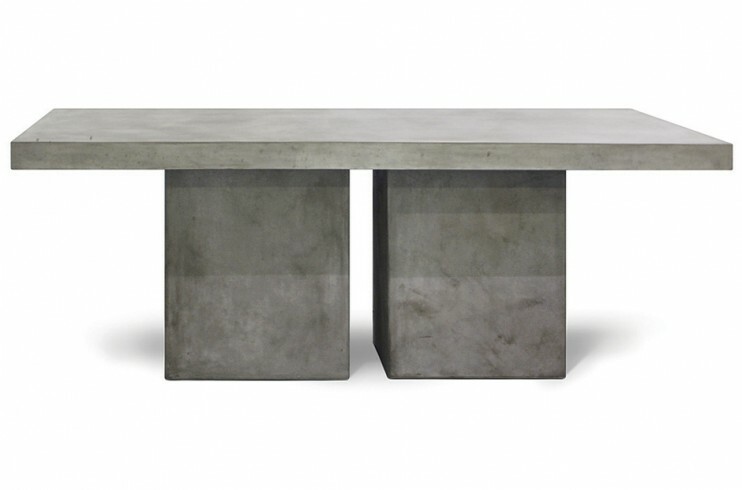 Indoors or outdoors, amidst a crisp garden or on a city rooftop, these hand­-made, lightweight concrete tables suit every occasion. The designer’s innovative approach to soften the appearance of concrete with natural sands and hemp-like grass creates a sophisticated, personalized aesthetic where no two tables are the same. “Perpetual” also embodies the durability and sustainability of the furniture—constructed from biodegradable materials with a low luster finish, the pieces are beautifully weather resistant. We successfully introduced this collection in Slate Gray and Ivory White. With strong market response, we successfully added Reclaimed Teak to this collection and—new for 2017—we are excited to introduce our new copper-plated Mesh Link Collection. We strive to create new looks not currently in the market—you can be assured of fresh designs, innovative material combinations and a unique look for different specifications in or outdoors. Perpetual looks terrific when blended with our ceramic collections: Fabulous contrasts between high-gloss and matte finishes, muted and bright color palettes … let your creativity drive your selections. Product requires simple hand assembly. Important handling instructions: When unpacking or moving large Perpetual table tops it is very important that you lift EACH side of the table top at the same time. DO NOT move table top and bases together—you will damage the table. Failure to support and lift all sides of the table top at the same time can result in fracturing or cracking center of table top. ASK US about how to correctly store this piece of furniture. A sample bottle of concrete sealer is shipped with this item. Buyer must seal product upon receipt and should purchase additional specified sealer to be applied regularly. FAILURE TO PROPERLY SEAL PRODUCT VOIDS WARRANTY. Our Perpetual Collection lightweight concrete furniture is handmade. These products may exhibit color and veining variations by batch and by individual item. If you are ordering multiple pieces, please notify us in writing when you place your order and we will do our best to assemble color finishes that are as consistent as possible. While our Perpetual Collection items are weather-resistant and suitable for indoor and outdoor use, it is the buyer’s responsibility to follow all care instructions which are included with the product. Failure to follow care instructions voids warranty.